Remote sensing uses specialized knowledge and tools to extract information from the earth at a distance (from hand held sensors to drones to satellites). At WH Geomatics, our remote sensing services focus on building customized models for information extraction, Land Cover mapping and Change Analysis. We use a rigorous scientific approach to extract the exact information our customers need for their solutions. 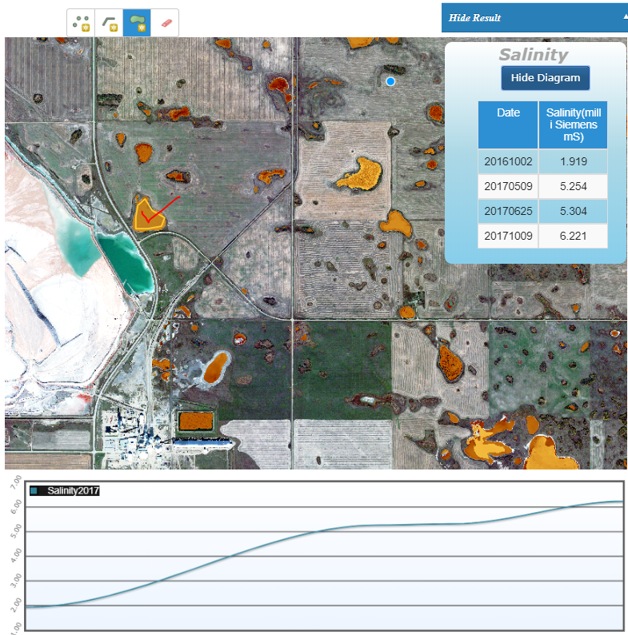 With Radar or High resolution imagery, we can extract information at the pixel level or subpixel level to calculate vegetation productivity, water quality indicators, or other variables. Comparing these simulated results with field validation data, we can build remote sensing imagery-based empirical models, which have been used successfully in our past projects. 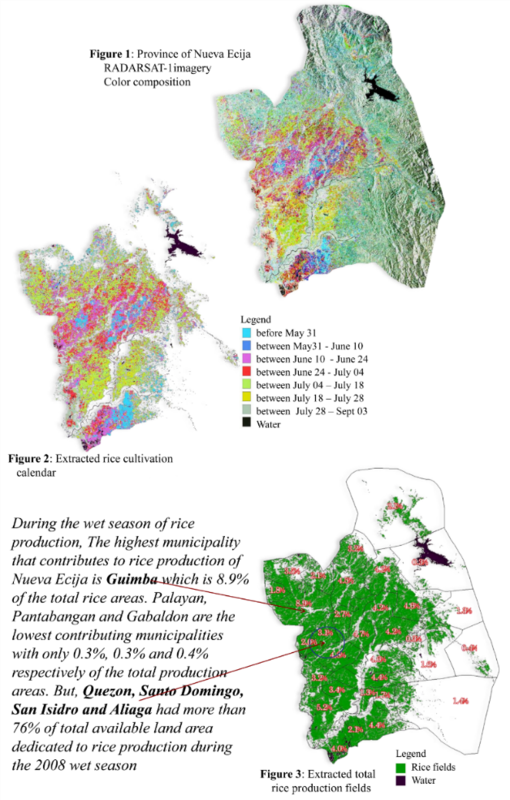 Using RADARSAT imagery, WH Geomatics mapped the area under cultivation for rice production area and created accurate yield forecasts for the province of Nueva Ecija in Philippines. Mapping sage brush cover in Wyoming, U.S. 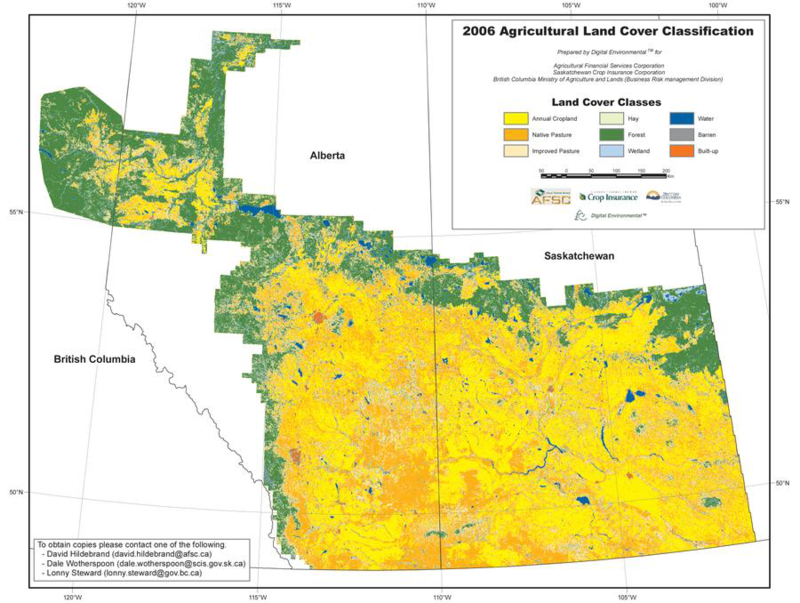 The following image shows a large scale agricultural land cover classification derived from multi-date Imagery over a single growing season. 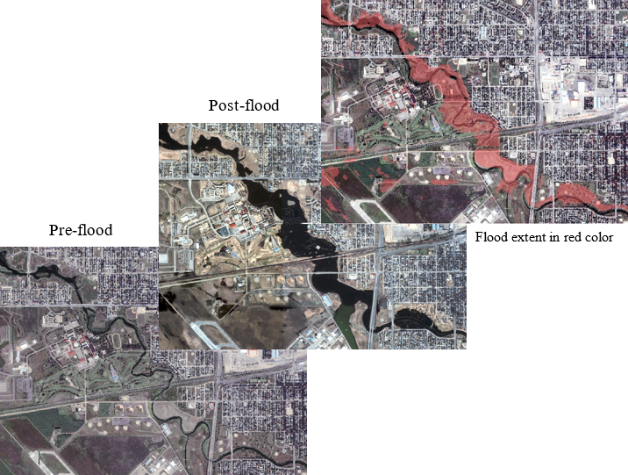 The below map was classified separately into 14 land cover classes using objected-oriented methods to auto-segment the image into smallest image objects and then assigning those to fuel types according to the training data. 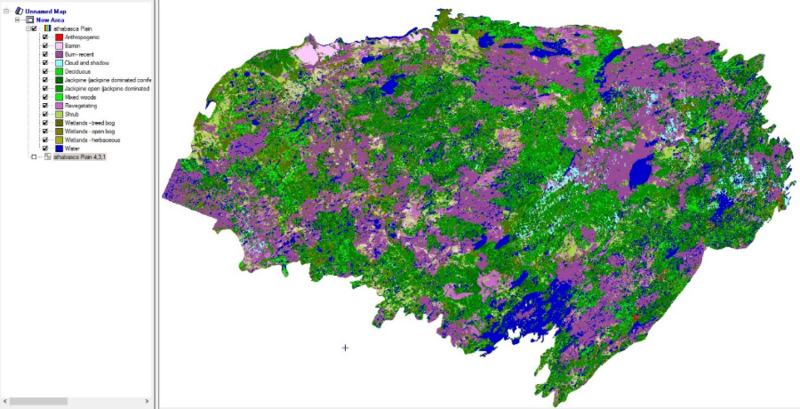 Land cover change detection analysis over time and the rate and direction of change can provide valuable new sources of information. One example is assessing damage from flooding.